Green Smoke stands out, even amongst other top-tier brands, by giving its customers a healthy-feeling, fresh-tasting vaping experience. Green Smoke provides consumers with an excellent product that will allow a smooth transition from regular cigarettes to electronic cigarettes. A healthier lifestyle is very difficult to achieve especially if you are a habitual smoker. There’s a good chance that you heard the advice to quit smoking from your doctor, family and friends. This is possible nowadays with the use of electronic cigarettes. Green Smoke E-Cigarette for example, is one of the leading electronic cigarette brands these days, providing a healthier way to smoke, without the smell and health risks along with it. Green Smoke revolutionized the electronic cigarette industry with their introduction of the cartomizer. This disposable pre-filled cartridge combined with an atomizer replaced refillable cartridges with separate atomizers, turning Green Smoke electronic cigarette into their trademark 2-piece system. Refillable cartridges can be messy and difficult to use, and atomizers would clog and wear out over time, but the cartomizer was simple to use, and replacing the atomizer each time a cartridge was replaced eliminated cleaning and improved the smoking experience. Though relatively more expensive than other e-cigs, Green Smoke is widely considered one of the best electronic cigarettes in the world, along with V2 Cigs and Blu Cigs. Green Smoke’s cartomizers are clean, efficient, and simple, their batteries are long-lasting, and their product produces the most vapor volume in the industry, almost justifying the extra cost. Smokers just can’t go wrong with them. Green Smoke has the appearance of a filtered tobacco cigarette with an LED indicator light in the tip which glows orange when the user inhales. Most users who wrote Green Smoke reviews reported that the e-cigarette produced a high volume of thick, velvety, realistic, and natural vapour that had the feel and appearance of real smoke. The disposable cartomizers make the performance more consistent than that of refillable ones because the cartomizers are new, stay clean and unclogged. Overall, the packaging evokes a natural theme with its green colour and leaf design, and makes the transition as easy and realistic as tobacco cigarettes. Green Smoke offers many starter kits, with the cheapest being the Express Kit. This Green Smoke starter kit contains a USB charger, wall charger and one battery, but is not practical for regular smokers, especially ones who smoke on-the-go or at least a pack a day. Next, the Green Smoke Starter Kit, their most popular product, comes with a long and a short battery, 10 cartomizers, a home charger kit, and a USB cigarette which can be plugged into a USB port and used while it is charging. Although Green Smoke is a bit more expensive than a number of other brands, most others only come with five disposable cartridges, and has coupon offers which can help you get the cheaper prices. Most Green Smoke reviews were satisfied with the 7-9 hour long battery life, providing heavy smokers the ability to smoke the entire day without requiring a charger. Even after the e-cig battery dies, the corded charger offers the convenience of smoking while charging, allowing you to never be without your nicotine. The only downside mentioned in a few reviews was in regards to the amount of time needed for the batteries to recharge. Some Green Smoke reviews complained that it took several hours to fully recharge both the long and the short batteries, which might be an issue for heavy smokers; however, this complaint can easily be overcome by simply charging your e-cig battery every night so smokers have two fresh batteries available during the day. Either way, the company gives smokers plenty of options and alternatives to ensure you will never be without your nicotine. Green Smoke e-cigarettes have a smooth, consistent draw that is very similar to the draw of a tobacco cigarette. This produces a vapour that has the look and feel of smoke and a rich, full flavour. Flavours include Absolute Tobacco, Red Label Tobacco, Gold Tobacco, Menthol Ice, Vanilla Dream, Mocha Mist, and Smooth Chocolate. In July of 2011, Green Smoke introduced its new FlavourMax Cartomizers. These cartridges are slightly larger than most cartridges, but produce more vapour and last longer than their predecessors. The Classic cartomizers are still available but will be replaced with the FlavourMax cartomizers over the next several months. Independent customer reviews gave the FlavourMax cartomizers extremely positive reviews. All the flavours are excellent, and many smokers hail Green Smoke as having the best cartomizers and nicotine flavours they’ve tasted. The Red Label (like Marlboro Reds) and Strong Tobacco are extremely similar to their tobacco counterparts, mimicking the tastes well and making it very easy for long-time smokers to make the switch without really knowing the difference. Green Smoke also produces Chocolate and Mocha flavours, which smokers said strongly resembled a Hershey’s Chocolate Bar and a Mocha Coffee, respectively. Lastly, reviews praised the menthol-flavoured cartomizers as exceptional, offering the same strong, minty, and refreshing taste of menthol tobacco cigarettes. The company prides itself on having the best flavours and most smokers and reviews seem to agree, one of the many reasons Green Smoke is considered the best, premium e-cigarette. Electronic cigarettes do not need lighters and do not leave odours in clothing, which saves even more money. In addition, you will qualify for cheaper life and health insurance, as well. Simply put, despite the upfront costs of a starter kit, in the long term, e-cigs are cheap and will save you money. Consumers are satisfied with the customer service at Green Smoke. The company offers a 30 Day Money Back Guarantee and a 1-Year Limited Warranty on their starter kits and products. In almost all the reviews we’ve read and consumers we interviewed, there were no complaints regarding product performance or quality – in fact, Green Smoke reviews suggest most smokers are intensely loyal and believe they provide the best electronic cigarette available. Consumers also reported fast delivery of their orders and prompt, courteous responses to their e-mail and telephone inquiries. The most common complaint found in reviews is the cost, though e-cigs are still much cheaper than tobacco. Green Smoke also resembles “real” cigarettes so closely that they may cause complaints in areas where smoking tobacco is banned. The carry case is not included in the starter kit and does not have room to carry the charger. On the positive side, most reviewers who compared brands found that Green Smoke had better quality nicotine cartridges, a high volume of vapour production and better tasting flavours than their competitors, and tobacco smokers reported that the product gave the same hit in the throat as tobacco smoke, making the switch easy and hassle-free. Green Smoke, along with V2 Cigs and Blu Cigs, is one of the best products you can buy. Consumers were impressed with the draw, vapour production, and flavour which offered an experience that was very close to that of smoking tobacco. Although Green Smoke is priced higher than some other brands, most users felt the quality of the product justified the additional cost. The introduction of the FlavourMax cartomizer demonstrates the company’s commitment to improving their high quality product. We highly recommend Green Smoke for new e-cigarette users as well as long-time smokers looking to try another brand. What Comes In The Social Smoker Kit? The Green Smoke Social Smoker Kit comes with an awesome assortment of items that are perfect for the social smoker. Do not buy the Social Smoker Kit if you are one of those who lie around in their basement smoking by themselves. What sets Green Smoke E-Cigarette products apart is the quality of batteries in the electronic cigarettes. The longer batteries can even deliver more than 400 puffs per charge. In addition, there is also the Designer’s Edition for the batteries. These batteries, unlike the traditional electronic cigarette batteries, are bigger, featured in different colours and designs. All of these designer batteries are available in long and short version. These eye-catching batteries will definitely amaze your friends as you smoke your electronic cigarette anywhere you want. Many electronic cigarette users consider this factor before buying a product. Green Smoke E-Cigarette delivers intense smoke in each hit, satisfying consumers who want the “real feel” of smoking tobacco-based cigarettes. The product is engineered to produce high volume vapour, or smoke, without leaving any bad odours. The quality of the smoke depends on the battery and cartridge (also called as cartomizer). With a heavy-duty battery, it must be paired up with a high-performance cartomizer. Since there is a disadvantage of using refillable cartomizers, Green Smoke E-Cigarettes only use disposable cartomizers. With disposable cartomizers, you don’t have to worry about having the cartridge clogged with build-ups as you fill it with flavoured E-cigarette liquids. These flavours are included in the product package of your choice. For standard packages, you can choose from Absolute Tobacco and Menthol Ice. If you want to try other flavours, you can try flavoured cartomizer packs. We’re selective on which e cig products we recommend that you purchase. In fact, we won’t list certain companies on our site if we don’t think they deliver a good product or even if they’ve just given us a bad experience. But Green Smoke Products are truly top of the line when smoking e cigarettes. You’ve heard our opinion of the Green Smoke Social Kit, but we want to know what others think of the starter kit. Green Smoke E-Cigarette has many features that many consumers like. These features include specialty packs, including the Express and Power packs designed for consumers who want to start using electronic cigarettes. The Power Pack includes a USB-powered electronic cigarette, providing you with a consistent power source. If you live in the US, you don’t have to worry about shipping fees since the delivery of the electronic cigarette products is free. For people who are experiencing problems with their items, they can have it replaced without additional fees within 30 days. This marks the reputation of the brand when it comes to providing the best services. Lastly, the brand also offers a lifetime warranty policy, for cases of malfunctions brought up by the item itself. Of course, there are restrictions with the policy, including the use of devices and accessories not affiliated with the brand. It’s best to read the warranty policies first for you to know what to do when you experience some problems in the future. Each user can enjoy a single electronic cigarette without having to deal with all the breath mints and a shower of perfume or aftershave. Green Smoke offers users a wide variety of flavours which suits the preferences of many consumers. Green Smoke’s Electronic Cigarette Review reveals a 7.5 mg atomizer. It has a sturdy steel shell design which appeals to people who want something comfortable to hold when smoking. Once again, Green Smoke assures customers on the many advantages of their e-cigs. Carcinogens and any other harmful substances are not in any way added into the cartridges which says a lot about how important one’s health is. Another obvious advantage is the absence of ash and the foul smell normally associated with tobacco cigarettes. An accurate fact on this particular Electronic Cigarette Review is that with the use of e-cigs as a smoking alternative, there is technically no smoke. 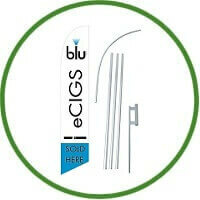 The “smoke” that appears is a safe vapour which allows e-cigs smokers to use them anytime and anywhere, even in public. What We Like About The Green Smoke Electronic Cigarette? Aside from its sleek and classy appearance, each Green Smoke Electronic Cigarette can be modified by choosing a battery design of your choice. There are numerous designs to choose form, and all of them are beautiful. You can match them with a number of elegant carrying cases which can either be plain, rhinestone-studded or soft leather. There are lots of different colours to choose from as well. It’s easy to choose which cartomizer and battery you will get since they all have the same screw threading, and one size fits all the accessories. With five different strengths divided into 0.6% gradations, it’s very easy to choose which nicotine strength would work best for you. Of course, the most sought after quality in an electronic cigarette is how much it resembles the feeling of taking a drag from a traditional cigarette. Green Smoke Electronic Cigarette succeeds in replicating the throat hit of many different traditional cigarettes. With many tobacco flavours, you might just trick your mind into believing you’re smoking a real cigarette. The Tobacco Gold flavour in particular has a nice sweet taste which is uncannily similar to the flavour of a tobacco cigar! The cartomizers are pre-filled with flavoured e-liquids so you don’t need to bother with filling them yourself. Once a cartomizer no longer dispenses vapour or flavour, just throw it out and screw on a new one! It’s a hassle-free and mess-free system. What We Don’t Like About the Green Smoke Electronic Cigarette? Some people may still be caught up with wanting to refill their own cartomizers, since the refillable types last longer and are not disposable. However, the Green Smoke Electronic Cigarette cartomizers have a long lifespan and an easier replacement mechanism. It takes a lot longer for the Green Smoke Electronic Cigarette to be fully charged. However, this is compensated by the fact that once it’s fully charged, it takes much longer for the batteries to run out. If you’re particularly concerned about the batteries running out too soon, just unscrew the cartomizer from the battery to preserve battery life. Electronic cigarettes are the future of vapour smoking, and are going strong nowadays. E cigs are sweeping the nation and converting smokers into electric vapour smokers. Coming in many different sizes and flavours, electronic cigarette price can vary from high to low. E cigs provide you a smooth look and feel without the mess of typical cigarettes. On our site, we provide electronic cigarette reviews, coupon codes and discount codes on electronic cigarette starter kits, refill cartridges, and accessories. The Green Smoke Electronic Cigarette is easy to use, and very simple. There’s no need to get into the technicalities since each component can be matched with all the other components. The disposable cartomizers are also very convenient since you no longer need to refill them with messy e-liquids. Possibly, the best part about the Green Smoke Electronic Cigarette, other than its realistic and full-flavoured feel, is the numerous choices for designer batteries and luxurious carry cases.